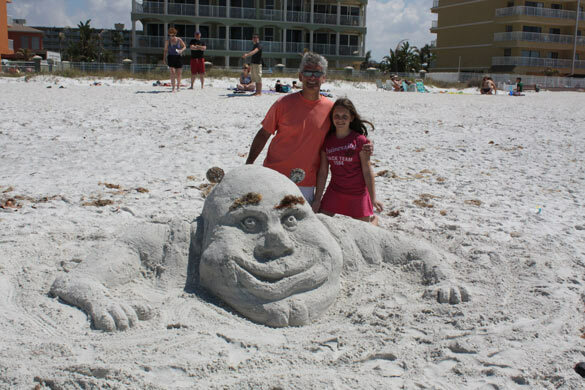 A beautiful and creative sand sculpture of Shrek from the Dreamworks animated movies. This sand sculpture was created by a family in Canada. 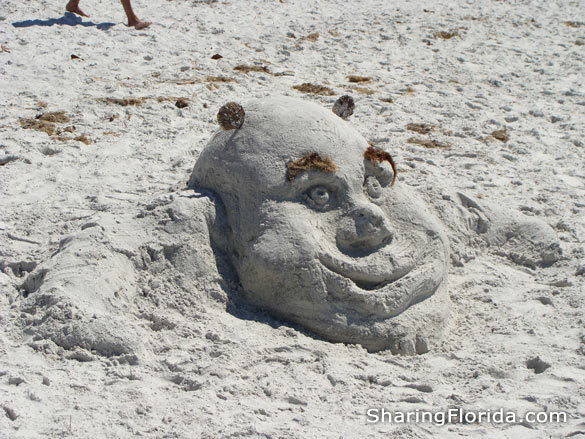 The Shrek sculpture was created on Indian Shores Beach in Florida in 2010. This was photographed March 20, 2010 at Indian Shores Beach on the Gulf Coast of Florida. 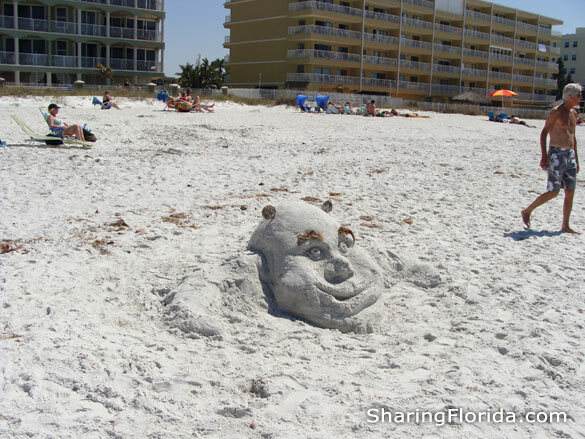 Sculpture of Shrek – complete with seaweed eyebrows! The photo below was kindly sent to us from the Shrek sculpture creators! As you can see the original sculpture has much more detail than our photograph.